August: We've been experiencing a very welcome invasion - a host of Common Blue Butterflies has arrived in our garden. It seems to be a largely male affair: I'm yet to spot a female. Common Blue caterpillar food plants include Birdsfoot Trefoil and Black Medic - a common weed in our grass areas. One good reason not to have the perfect lawn! August: Like a hidden jewel, this Peacock Butterfly's (Aglais io) drab underwings belie the glories to be revealed. Phlox have long flower tubes which the butterflies long tongue can get right into. 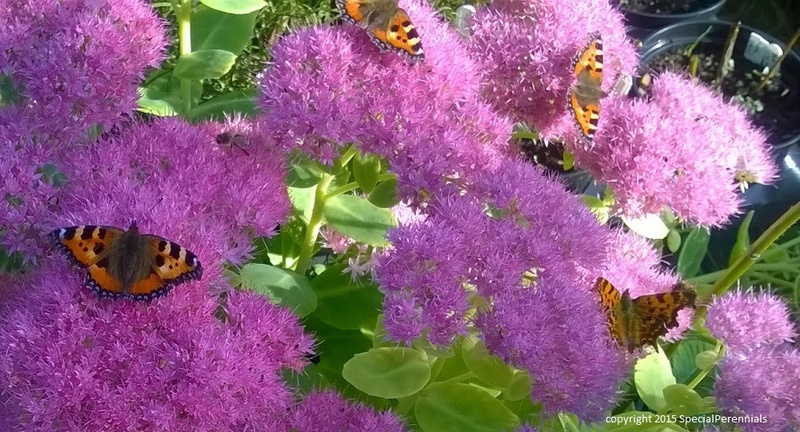 Now is the time that butterfly numbers reach their peak in our garden and some plants are just magnets for everyone in the area! Happy Days for this peacock butterfly - the centres of these Helianthus "Happy Days" flowers are full of nectar! 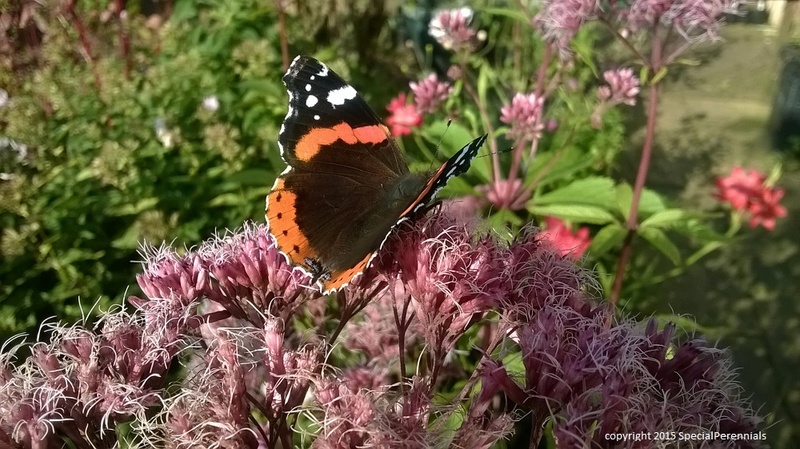 Joe Pye weed or Eupatorium flower just as the last brood of Red Admirals emerge - handy! Geraniums, like nodosum here, are ideal late spring and early summer feeding stations for butterflies. This large white may not be as welcome as other types in the garden! heleniums are at their peak at the same time as Gatekeeper butterflies - perfect partners!